The TEAS test, also known as the Test of Essential Academic Skills (TEAS V), is a standardized admissions test used by many nursing schools to evaluate potential candidates for admission. The TEAS V test is developed by ATI and is intended to be a predictor of a student's success in nursing school. The TEAS test assesses a nursing candidate's skills in reading, math, science and English and language usage. For More Study Tools - see Test-Guide.com's Recommended TEAS Study Products to improve your chances of passing. Describe the functions of the following systems: circulatory, nervous, digestive, respiratory and immune systems. Nursing school candidates have a wide variety of options available to them to prepare for their TEAS test. The two most prevalent ways of preparing for the TEAS are practice tests and self study (with study guides). Test-guide.com offers its own free TEAS practice tests to help you prepare for the exam. Additionally, see Test-Guide.com's list of recommended TEAS study guides that you can use for additional preparation. TEAS Review Manual, V5 from ATI - This newly updated review book from the developers of the TEAS exam (ATI) is the best available. McGraw-Hills 5 TEAS Practice Tests - Provides 6 full-length TEAS sample tests written in the style of the real TEAS exam. TEASCentral.com TEAS Online Practice Tests - Use the coupon code: SAVE-KILX to save 10% on your purchase. For More Study Tools - see Test-Guide.com's Recommended TEAS Courses and Books to improve your scores. Candidates should verify the TEAS registration processes with their desired nursing school. The TEAS test is given at multiple sites throughout the United States, typically at nursing schools, community colleges or dedicated testing sites. The nursing program typically specifies the testing dates and test locations. The TEAS test may be given either electronically or via paper and pencil. 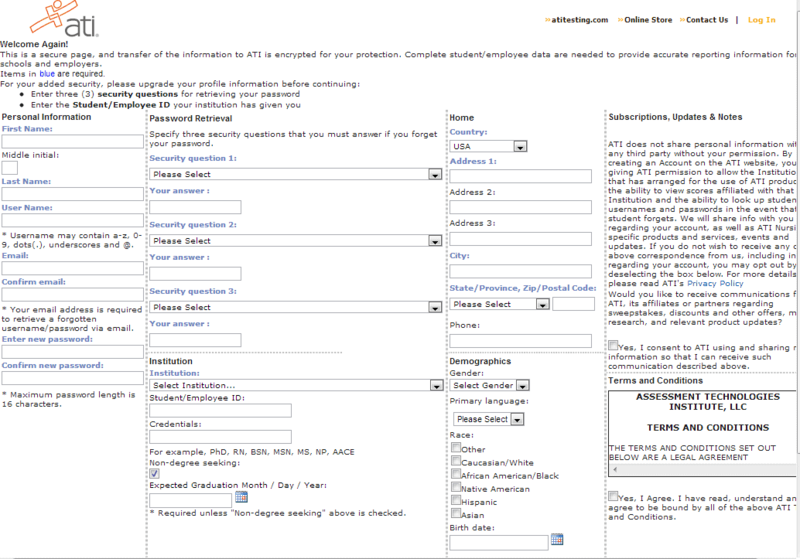 Prior to taking the test, candidates must create an account at the ATI website. Information from this account will be required when the exam is actually taken. Scores for the TEAS test will be available immediately for electronic tests and within 48 hours for paper and pencil exams. A candidate's transcript will contain an adjusted composite score which is the number of correct questions divided by the total number of questions. This score is also adjusted for the difficulty of the specific exam that was given. The adjusted composite score can be compared to a national mean and a program mean. The national mean is the average adjusted composite scores for all candidates who took the same version of the test. The program mean is the average of the adjusted composite scores for all candidates who took the same test version and are in a similar program. The TEAS V test is an important factor utilized by many nursing schools to determine admittance to their programs. Students can improve their scores on the exam by understanding the format of the exam, reviewing concepts that will be tested, and taking TEAS practice exams. Good Luck! Disclaimer: Not affiliated with or endorsed by Assessment Technologies Institute, LLC (ATI). TEAS and Test of Academic Skills are registered trademarks of ATI and are used here solely for purposes of identification.